Fast forward a few months and I am wandering around New Look and I spotted this absolute steal! A white metal notice board of my dreams (L: 30.5cm, H: 42.5cm) When I spotted the price tag of just £7.99 I probably should have bought three or four there and then! Don’t get me wrong I know it’s not massive but it’s a good size! The bulldog clips are included and you have the option to fix it to a wall if you want. 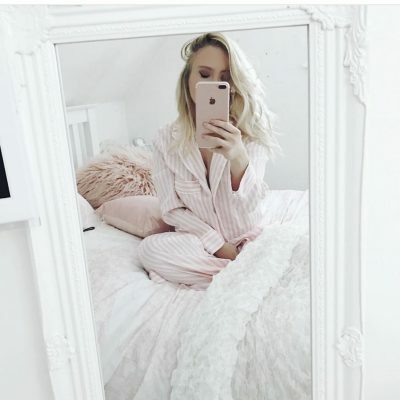 This size is about perfect for me but if you wanted a larger version you could just buy two and fix them to the wall right next to each other for just £15.98! I ordered some cute polaroid style prints, a sprinkles cupcake ATM machine and obviously my one true bae had to feature somewhere. I chose his ‘paint me like one of your french girls’ look. The more I look at this picture the funnier it gets, he looks like he’s just hanging on in there! There you have it cheap and cheerful and pinterest perfect! 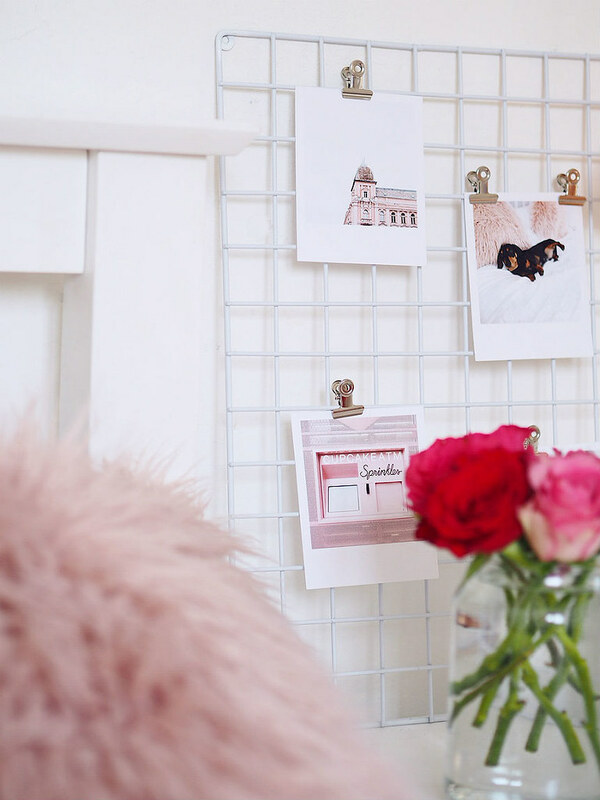 You can obviously put whatever you like on your memo board, cute prints, cards, to-do lists, etc, etc! 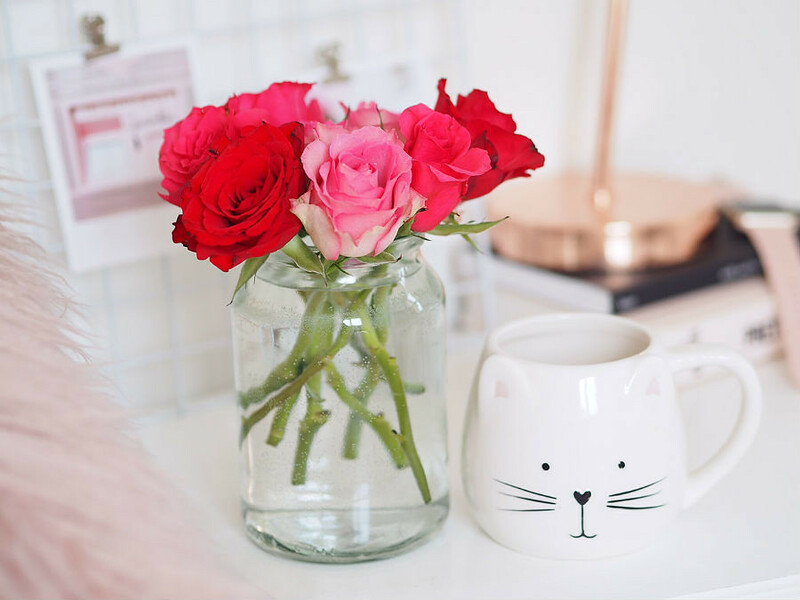 To add a slight pop of colour, I bought these gorgeous pink and red roses for just £3.50, from the co-op, complete with cat mug (obz.) What do you think of my cheaper alternative?! If you fancied a bit of DIY I guess you could always spray paint it rose gold or whatever colour you fancied! Previous Post Easter treats with Biscuiteers! Next Post New in from Tanya Burr Cosmetics Neutral Ambience! 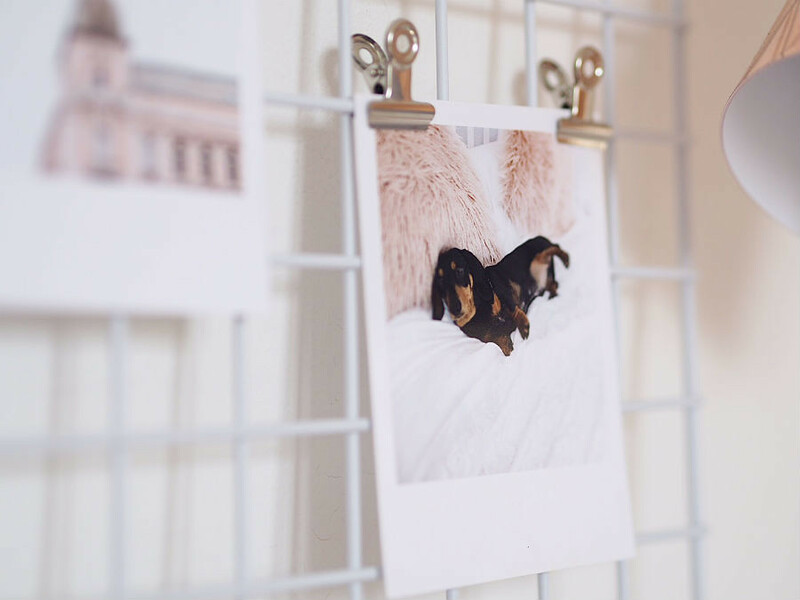 Love these wire boards & this one was so affordable. I need to have a look in New Look so many people have recommended their home bits. Your wire board looks great, and it was cheap too! Love this! It’s mad how much some of them cost for a bit of bloody wire ? Love this! I was looking for something to clip pictures on, but I ended up getting a clothesline type thing for a gift and it’s perfect! I’ll have to check out New Look’s home stuff though!! That’s insane that they were charging £60 for a wire frame! I got a good one from Primark for about £6 but it wasn’t very big so I may have to make my own like yours! What a bargain! I can’t believe how pricey some of these are online – it’s crazy. You’ve made a good find here, and like you say, you could always spray paint it a different colour. 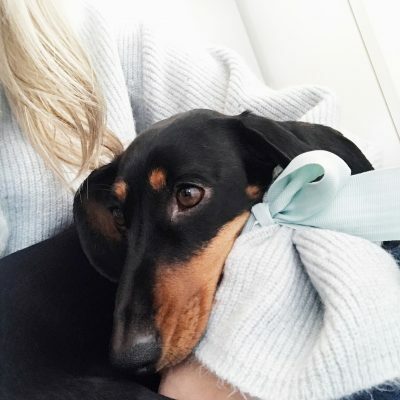 I love that photo of Oscar – he’s such a cutie! Where did you order your polaroid snaps from? I was thinking of doing something similar in my kitchen for food pics I’ve taken.